I like the concept of ‘Blockchain Assets’, immutable data, scarcity and longevity. 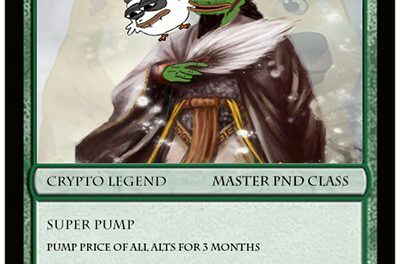 Mix 2 parts Rare Pepe with 1 part cult concept, blend for at least 6 hours in Photoshop, garnish with some Gif’s then leave to render. Short answer, 2020. Ultimately being able to create something that has the potential to out live us all. Street Art and no not really. WHERESPEPE because of the potential it has for follow up cards. I like the simplicity of Davinci Nines collection, but to chose one is a myth. My preferred favourite changes on a daily. 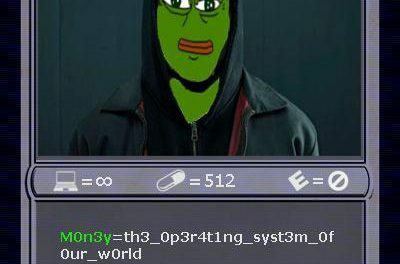 PEPENYMZ Cos I’m dank enough oh and there’s only one. The Rare Pepe TV Network broadcasting 24/7. I was actually gonna suggest something similar to this a couple weeks back. My proposal on the matter was one that would have had the community vote on a months worth of entries and pick 5 out of them to be added every month. The foundation will still verify them before registering them for the voting process. 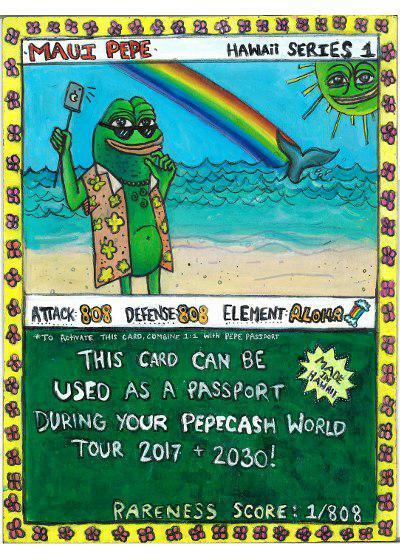 and add them to a voting page of sorts on the website or in the rare pepe wallet, and maybe promote it through telegram and twitter.